Why Store Food? | How Much Wheat Am I Really Going To Eat? There is a stigma attached to the notion of food storage. Often media events confuse those who choose to plan ahead to be fanatical prepper types. See glossary post: What Is a Prepper? There is a myriad of reasons to store food, two of which cannot be ignored: natural disaster and job loss. In the event of a natural disaster, or man-made one, it can take relief agencies 2 to 7 days to reach you. What will you eat and drink until then? If you are imagining special forces troops to be singling you and your community out for food and water drops during the first few days, you’re fooling yourself. Your most immediate help will come from your own preps, a neighbor on your street, or in your community, then family – if they can get there. Next will be from your church and last the government, or agencies, that take action during the aftermath. To be the most help to your immediate family and your community, you need to prepare for your own in case of disaster, so that you can have the strength and peace of mind to help other. With the economy seemingly on the brink, jobs are harder to find and harder to keep. An employer can ‘lay-off’ employees for any reason in most areas, workforce loyalty is rarely regarded as part of a corporations integrity or benefits program. Many people receive a pink-slip without any warning and then they are left to figure out what they are going to do. If you have enough food and non-essentials, then you only need to fine work to pay the bills. Planning and prepping for the unexpected can help you maintain your own self-worth and increase your ability to take care of your family. 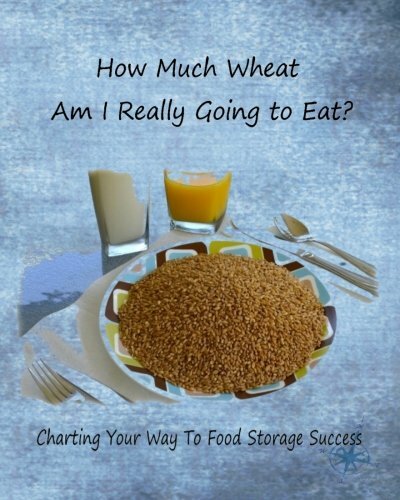 Section 1 of ‘How Much Wheat Am I Really Going to Eat?’ will help you determine the amount of food you may need by answering a few simple questions about Why you want to store food. You can get a copy of this book under the ‘Get the Book’ Tab on this site, or click the title link above. When you establish the Why’s then you will know the ‘How Much’ food and non-food essentials you will be planning for. By planning ahead, you can be at peace when life throws you a curve ball. Pingback: How Much Should I Store? | How Much Wheat Am I Really Going To Eat?